At 2:42 p.m. EDT, the Soyuz hatch closed between the International Space Station and the TMA-20M spacecraft. 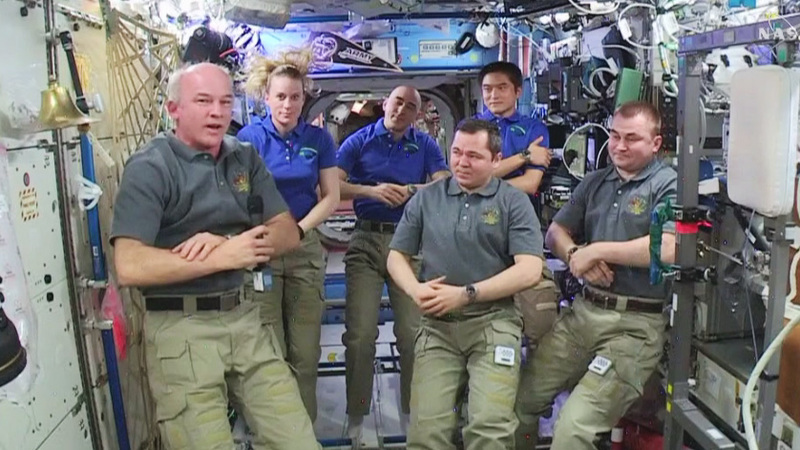 Expedition 48 crew members Jeff Williams of NASA and his Russian crewmates Alexey Ovchinin and Oleg Skripochka of Roscosmos are preparing to undock at 5:51 p.m. NASA Television will provide coverage beginning at 5:30 p.m. The deorbit burn is targeted for 8:21 p.m. and will lead to a landing at 9:13 p.m. southeast of Dzezkazgan in Kazakhstan. NASA TV coverage of deorbit and landing begins at 8 p.m. Watch live at https://www.nasa.gov/ntv. The return of Expedition 48 will wrap up 172 days in space for the crew since their launch in March 2016. Williams will return to Earth having accrued 534 days in space on his four missions dating back to 2000, the most days by any U.S. astronaut in history.